Welcome to the 3rd edition of our newsletter, its purpose is to give you a regular update of what we, the contractors, are getting up to in the building. These news letters are produced on a regular basis to let you know what is going on and how it may affect you. We are taking all practical precautions to mitigate the effect of the works on the building’s surrounding neighbours, however, due to the nature of the works occasionally some inconvenience will be experienced. We would like to take this opportunity to thank you for your understanding and patience during the construction works at Merchants Hall and apologise for any inconvenience that may be experienced. The external signage on the hoarding now displays, by way of our “Two Week Look Ahead”, all impending on-site works which may affect you or have an effect on your working environment. . If you would like to receive an electronic copy of the “Two Week Look Ahead” document please contact the site management team, who will be happy to forward a copy on. The scaffold and hoardings are complete to Packington Street with the Essex Road section starting later in March. Once complete there will be graphics applied to both elevations advertising the project. The main central section of 162 Packington Street roof has now been removed with temporary works structures to stabilise the building well under way prior to the main roof removal. We will aim to give you as much notice as possible as well as endeavour to provide you with relevant details regarding all works we are due to commence and have completed by January 2018. Scaffolding and Cranage will be parked in Packington Street at 08:30 to allow for set up time. Commencing on the 26th March 2017 and continuing every two weeks from the on the Project Team will be available between 16:30 and 17:00 to answer any question that neighbours may have regarding the project. Please feel free to come along to the 160 Packington Street Site Office at these times. All such work is undertaken in consultation with both the Building owner and neighbouring tenants plus we will provide an onsite liaison person (details below). Should you like to know more about the project, please contact us to arrange a site visit. The site is fully running now with various works being carried out to both the new building off of Queens Head Street and internally to 162 Packington Street. Piling and reduced dig for the new build to Queens Head Street. 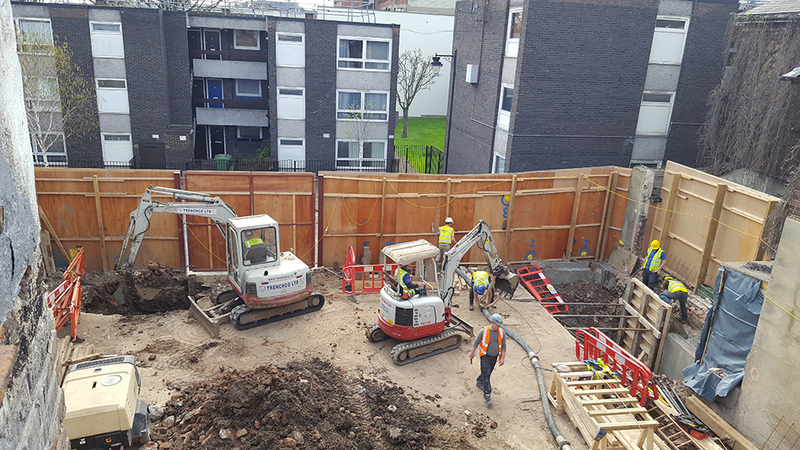 Temporary works to both the ground floor and basement which will allow for new foundation excavation for the steel frame to 162 Packington Street. We have now had four internal Health & Safety inspections carried out with no incidents to report. If you have any concerns please contact our site management team, we are based in the side office in 160 Packington Street. 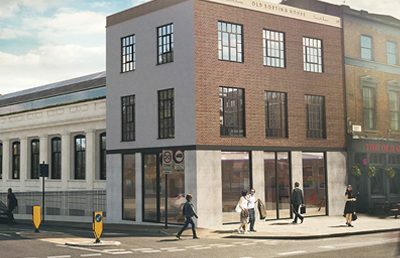 Since the approval of an application for variations to the original planning permission by Islington Council on 14th September 2016, you may be aware that Martins have made some further planning submissions in relation to the site. We wanted to make you aware that the applications which have been submitted do not propose any significant alterations to the scheme. There are currently two applications pending consideration by Islington (ref: P2016/4782/NMA and P2017/0006/S73) which relate to minor alterations to the roof lights, roof hatch, windows and doors on the main hall along with internal alterations to the layout of the building. It should be noted that with all construction works, some dates may be subject to change. However, should this occur we will notify all the neighbours accordingly by the way of a newsletter update.